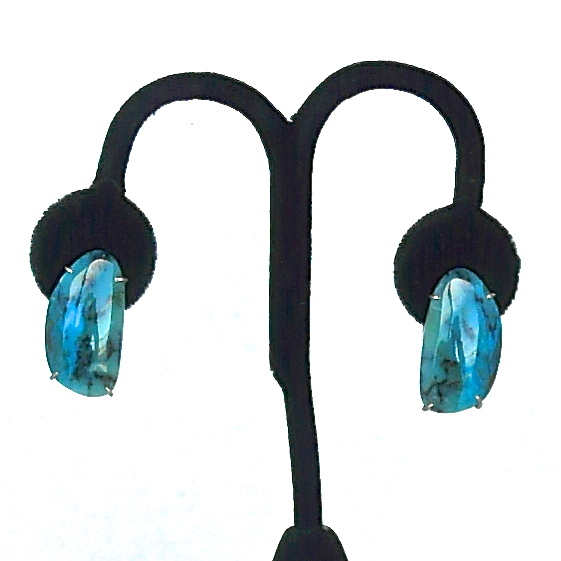 These Peruvian opal earrings are a deep sea blue with natural areas of black in the stone which adds a lot of interest. They are framed on the back with sterling silver and I have added a French clip (post with clip to keep it securely on the ear). They are 1” long by 5/8” wide at the widest part. They drop 3/4" from the post. 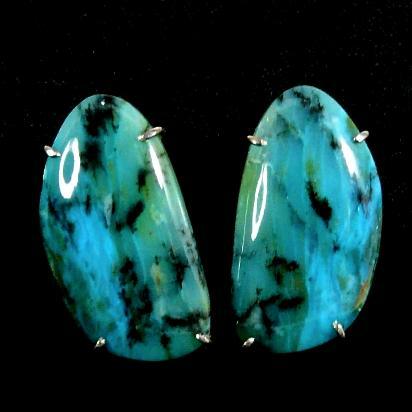 Peruvian blue opal is relatively rare and is only found in the Andes mountains in Peru. 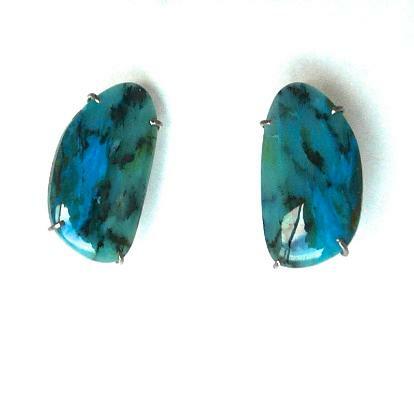 It is a moderately translucent stone with color similar to the Caribbean Sea. It can have brown or black inclusions. The gorgeous color is stunning and will definitely get noticed.